Blend the spice paste ingredients to a paste. Season the beef with light soy sauce, salt and pepper. Heat oil in a wok and sauté the spice paste until aromatic, then add the beef and stir-fry over medium heat. Add in French beans and stir-fry for another minute. Add the eggs into the wok and stir-fry until set, then add the sweet soy sauce and season to taste. 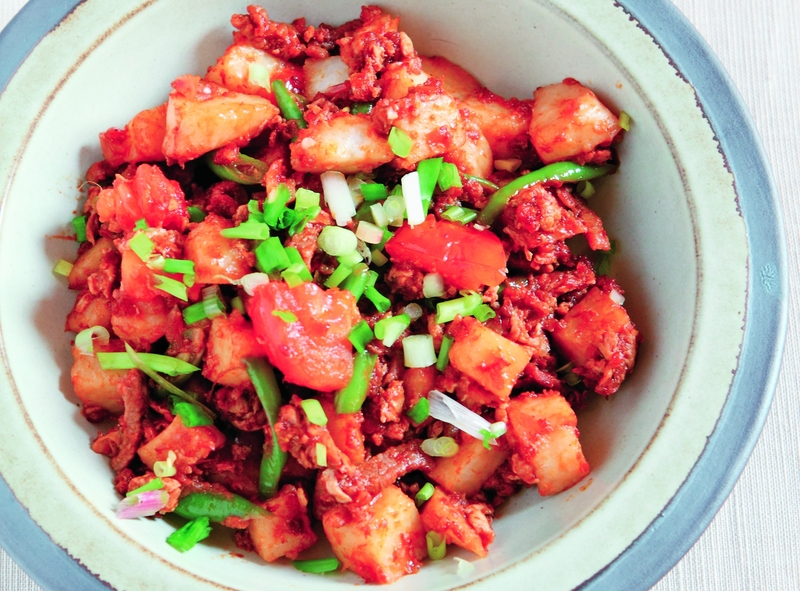 Add the cubed ketupat and stir-fry until coated well with the other ingredients. If too dry, add a little bit of water. Remove from heat. Top with spring onions and fried shallots just before serving.